Welcome to Heidi Herda Realtor® Keller Williams Classic Realty blog! The home buying or selling process can sometimes seem overwhelming, but it doesn't have to be! Heidi Herda and The Herda Home Team have established helpful Real Estate FAQ's and have drilled down the home selling process and the home buying process for your to navigate with ease. Of course, having a professional, experienced Real Estate agent at your side makes all the difference! That's why Heidi Herda and The Herda Home Team are committed to giving you superb attention, communication, honesty and integrity while we help you through your home buying or home selling journey. Home Buying Process! What to do??? As a professional Realtor, we know the first step most home buyers do is start looking for homes online. The more homes a potential buyer sees on the MLS (multiple listing service), usually the more excited they are about home buying! I'm sure you are no different! It's great to get an idea of the price of homes, the location and start to form an opinion of what styles of homes might appeal to your lifestyle... unfortunately, this really isn't the first step to buying a house. Typically, not the first step potential home buyer's take, but it is a true step toward homeownership. A preapproval from a bank or credit union does several important things right off the bat. First, the bank you pick will verify your credit score, review your debt as it relates to repayment of the low and also an important piece they will review payment scenario's, review loan programs and once approved, they will give you an idea of the range of home pricing you should be looking at. Well first, do you still want to sell it? Likely! If you're home was listed on the market without receiving an offer it's likely that your contract with your agent has expired. The first and foremost reason why homes expire off the market is because they may have been incorrectly priced. 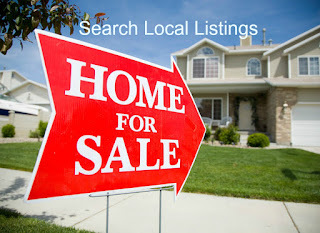 Picking an agent that knows the local market and understands how to price your home competitively is very important. Pricing your home too high in the beginning may even have hurt your bottom line. A home that is high in price tends to sit on the market much longer than the ones that were accurately priced in the first place. Allowing your home to become market warn (sitting on the market for several months without selling) can give a potential buyer the impression that "something is wrong with it" or that they just can't afford it without even looking at it. I'm Struggling With My House Payment and I Think I May Need to Short Sale My Home. So you have made the decision to sell your home and wondering what steps do I take next? Well, click the title link to find 7 Tips to Getting your Home Ready to Sell. Don't overlook the items I have listed in this section. As home owner's we "make due" or don't notice things that may need a little attention around the house. Remember, Real Estate agents look at your home from a buyers perspective so you can get an early offer with a higher sale price. Don't be offended when your agent makes suggestions as those can be the difference between a long market time and a short market time. What is an appraisal and How Can it Affect Me? Short Sale, Divorce, Financial Issues, Need Help? Thinking of selling a single family home?